Those who would like to learn how to grow and harvest Bulb Onion and Garlic in the Davao Provinces and nearby areas of Region XII or SOCKSARGEN and the Caraga Region are advised that the Department of Agriculture Davao Regional Office will be holding a one-day lecture and actual planting demonstration on Friday, July 21 in Davao City. The lecture and actual farm demonstration are free to the public and will be held at the Davao School for the Blind Compound in Barangay Talomo. The lecturers will include Garlic and Onion technicians from the Department as well as the private sector. Actual field demonstration will be conducted after the morning lectures. Among the speakers are organic farming advocate Arsenio "Toto" Barcelona, representatives of Allied Seeds and irrigation experts from the Israeli company Netafim and Barcelona's company Harbest. The free lecture and workshop are being conducted following the successful performance of the DA Pilot Farms for Onion which will then be followed by the establishmentof Garlic Pilot Farms. 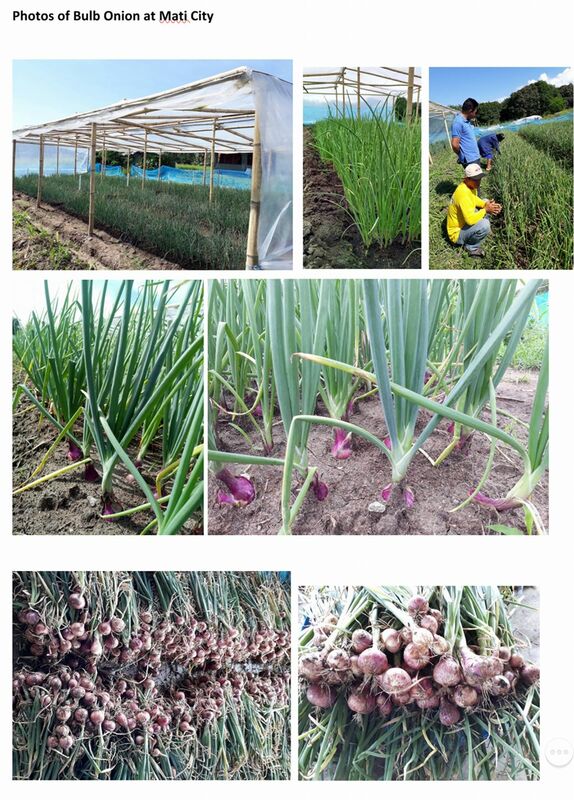 Farmers who will be interested to go into Onion and Garlic Farming will also be given access to credit by the agriculture Department amounti g to a maximum of P50,000 per hectare. The Onion and Garlic Development Program is being launched by the Agriculture Department to ensure sufficient supply of these commodities by the end of the term of President Rody Duterte. Currently, the Philippines imports 94% of its Garlic requirements and 70% of its Onion needs from China and India. With a farm gate price of P35 per kilo for Onion and P60 per milo for Garlic, farmers are expected to earn a gross income of P300,000 per hectare harvested. Harvesting is done after 3 to 4 months.